ETH Gas Station is all about calculating transaction fees for every transaction made with Ether (ETH). Every transaction has either no transaction fee attached or a transaction fee attached; and to know this, ETH Gas Station has been designed to help customers with fee problems. If you are a trader, and you do business with ETH, this is the best option for you. Everything here has been designed to look like a gas station where you take a refill and you pay a certain amount for what you do. The site allows you to change currency from USD to 3 others (EUR, GBP and CNY). 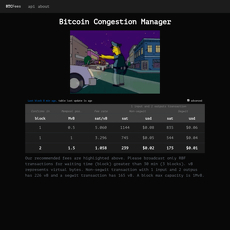 What you see first on the site is an Estimate over last 1,500 blocks with accurate figures given about it. 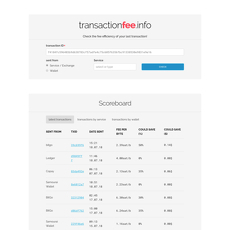 Each of your currency and transaction info is converted to Gwei; for instance, Std Cost for Transfer (in USD) is converted to Gas Price Std (in Gwei), SafeLow Cost for Transaction (in USD) is converted to Gas Price SafeLow (in Gwei), and Median Wait (in seconds) is converted to Median Wait (in blocks). 6. 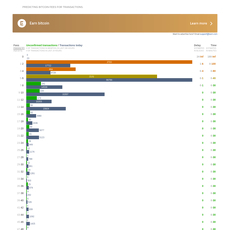 Top 10 Miners by Blocks Mined, etc. Features of ETH Gas Station. 1. 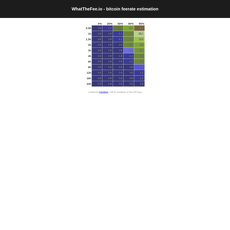 Tx Calculator: This does all the calculations involved on the site like from USD to Gwei. 2. Gas Burners: Here, different address and IDs are displayed; each of them for top 100 ETH Contracts used in the last 1,500 blocks.